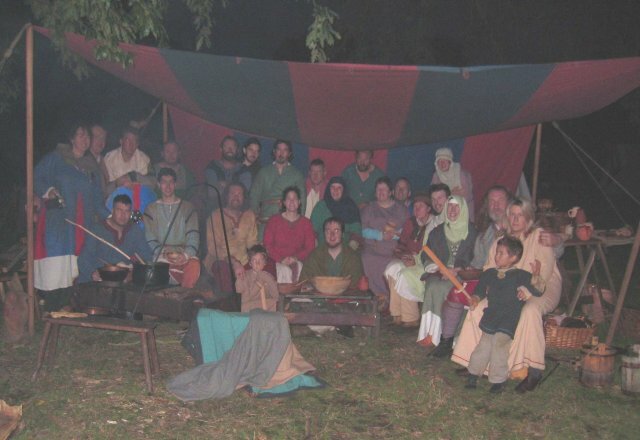 Ousekjarr is the name of the Cambridge group of The Vikings, the UK's oldest and largest Dark Age Re-enactment Society. 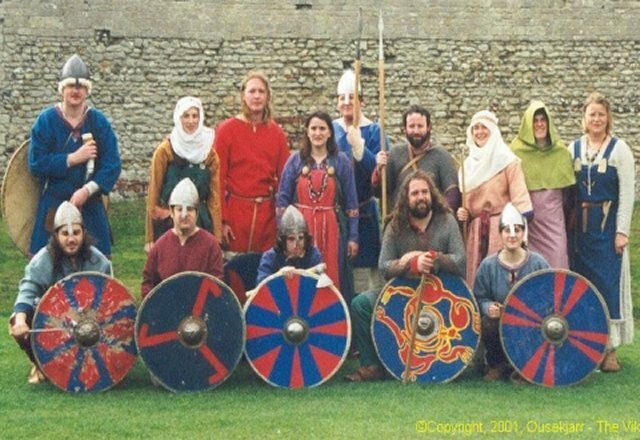 We recreate the life and military history of the Vikings, Saxons, Celts and Normans between 800-1100AD. 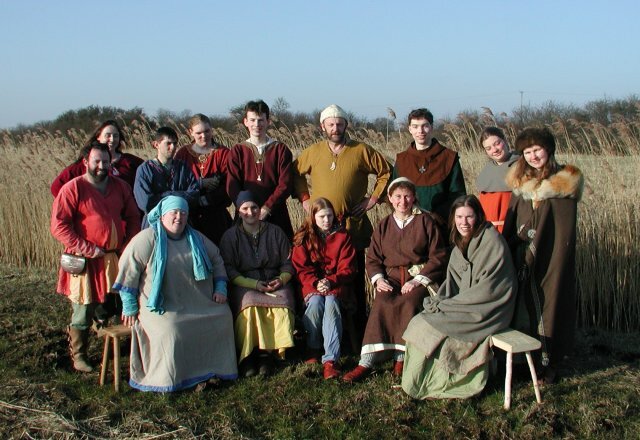 Our name means "brushwood island in the river Ouse", and is based on the time in the 10th Century when Cambridge was the furthest extent of the Danelaw. 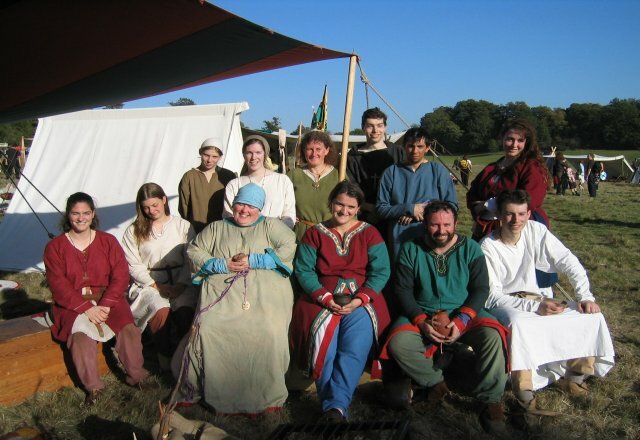 The city changed hands several times, leading to a mix of Danish and Saxon inhabitants who were never really sure where they stood. 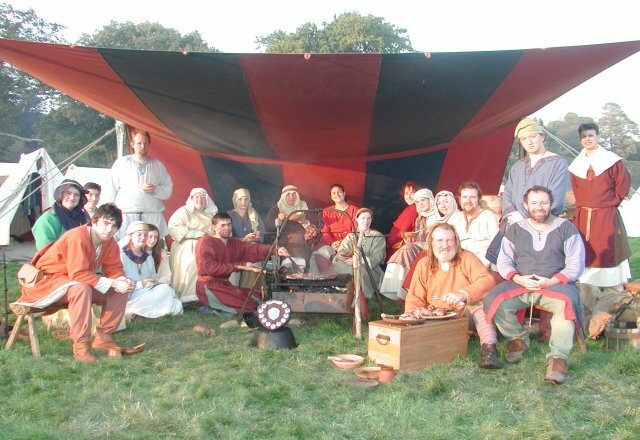 The group was formed in 1994 with an initial core of 3 members, and now has over 50 members, with an average turnout at major shows of about 20. The national society now has over 1500 members, from Shetland to Kent, and Norwich to Anglesey. 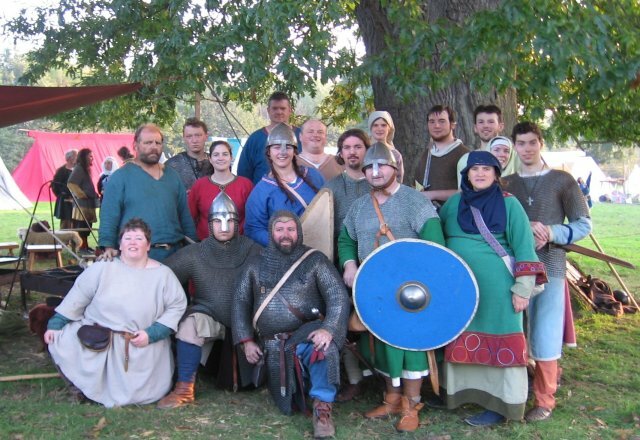 We aim to represent the warrior class of the late 10th Century, from the ruling Thegn and his household to the peasant warrior serving in the defence of his local area. At this time, the Thegn and most of his inner circle would be from a Danish background, with a few trusted Saxon men of rank. 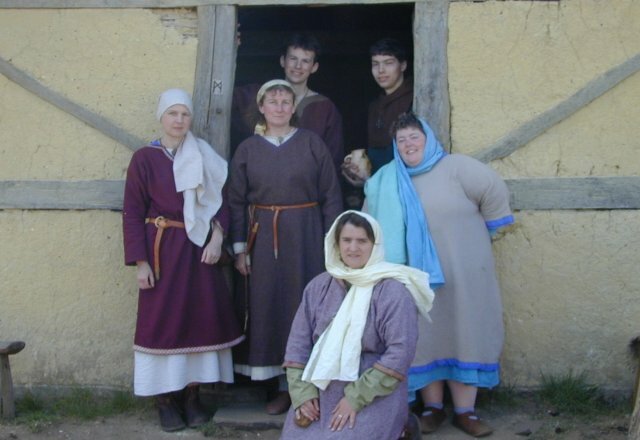 Their tenants are broadly Saxon, but with some signs of the prolonged Danish influence visible in their dress, jewelry, and customs. 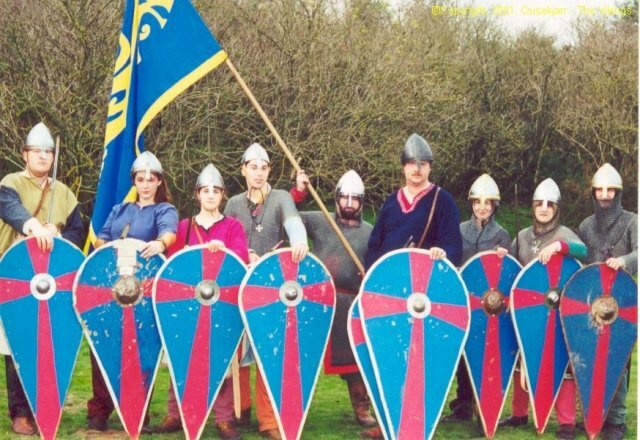 It was a time of great change in Cambridgeshire, with the borders of the Danelaw constantly shifting, and Danish fleets raiding around the coast of England from Cornwall and Devon to Norfolk. 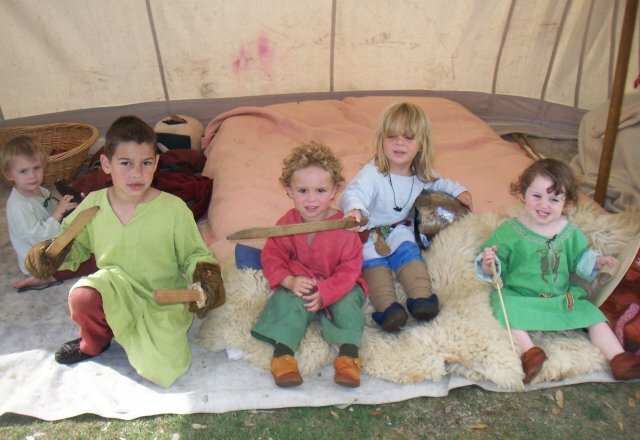 Within the society, Ousekjarr is classed as a "Herred", from the regional structures of C10th Norway. 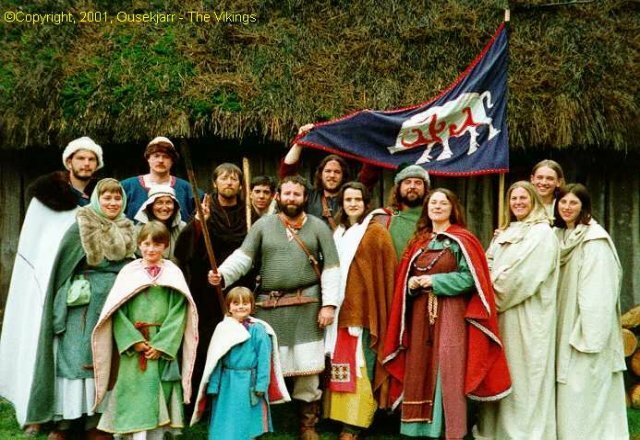 These larger and more established groups form the core of the Society, while a smaller and newer group is are known as a "leðang" (lethang) - a term based on the Norwegian military unit of one ship's crew. A leðang is run by a sturaesman (literally a Steersman of a ship, the one who mans the steering oar), while the leader of a Herred may be promoted to the rank of Jarl (later known as Earl). The Jarls of the society meet up to twice per year, and advise the society's High Council, the ruling body of the society.